There are only five legislative days left in the 2016 Alabama Legislative Session, and the leadership plans on burning three of those this week. Both of the constitutionally mandated budgets have passed, so all that is left is deciding what bills live, and what bills die, when legislators vote to sine die this session. One of the most controversial pieces of legislation facing the Senate is HB125, sponsored by State Representative Terri Collins (R-Decatur), which would create a State longitudinal data system to track Alabama school students as they progress through schools, on to college, and into the work force. Read the full story here. The Alabama State Longitudinal Database System Bill or House Bill 125 (HB125) would create two new state agencies with no accountability and almost unlimited authority. The agencies’ sole purpose would be to collect information on private citizens. HB125 is currently back in the House with the Holley Amendment added which forces private schools to comply. The first new agency created would be the Alabama Office of Education and Workforce Statistics, and the second is the powerful advisory board made up primarily of agency heads. This bill will apply to all public school students and workers leaving public education. It will collect private information on individuals, potentially through their entire lives. The purpose of this bill is to collect information on students, and monitor them indefinitely. As the bill states, “to create the Alabama Longitudinal Data System to provide for the matching of information about students from early learning through postsecondary education and into employment.” (pg. 1) The stated goal of the legislation is to, “guide decision makers at all levels.” (pg. 3) No clear basis or need for this mass amount of data collection on private citizens including students is provided. The bill contains only vague promises of confidentially with no actual method of protection or limitation on the data collection power of these new agencies. The bill claims to provide protections but provides none. “The protection and the maintenance of confidentiality of collected educational data, including compliance with the Federal Family Education Rights and Privacy Act (FERPA), and all other relevant state and federal privacy laws, and all relevant state cyber security policies,” (pg. 5). Originally, FERPA was the federal law designed to protect family privacy in education settings. However, the Federal Department of Education gutted the law in December of 2011. On January 3, 2012, changes went into effect that allowed for the collection of student data by third parties. Those parties retain ownership of the data and may share or sell it at their discretion. The first phrase from the bill listed above, is an empty promise, as nowhere in bill are there measures to protect the data. It is important to note that there are currently no State or Federal laws which apply to this bill in regard to protecting students’ personally identifiable information such as name, social security number, or family information. Even if all the information collected were dis-aggregate (meaning not on-its-own enough to identify an individual) it is still dangerous. Dis-aggregate information becomes personal information once you have just a few data points. Eagle Forum of Alabama opposes HB125, as it would create two extremely powerful agencies and violate the rights of Alabamians. If the government is going to seek any private information from citizens, they must provide a sound basis or get a warrant. The Holley Amendment, which Eagle Forum of Alabama has also reviewed, has now passed. It does not solve the problems of HB125. The Holley Amendment actually creates additional problems such as requiring private schools receiving any state funding to comply with this data collection program. 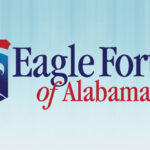 Go to Eagle Forum of Alabama’s website to find your legislators. Take action now! Contact your State Representative and Senator and strongly request they oppose HB125. 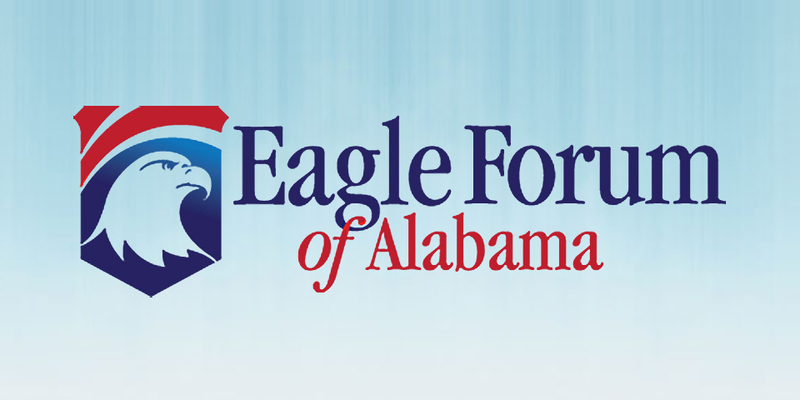 For more information contact Deborah Love, Executive Director of Eagle Forum of Alabama at (205) 879-7096. Here are six testimonies in support of SB60. The following information has been sent to Alabama Senators. Please contact yours TODAY and ask that they support SB60 (The Alabama Ahead Act) to repeal and replace common core. You may find your legislator here. “In 2011 Alabama moved from near last to 25th in the nation in overall grades and scores [Education Week assessment] … 12th in the nation for standards, assessments and accountability… data from the National Assessment of Educational Progress (NAEP) showed a historic gain of eight points in fourth grade Reading for Alabama public school students – the … highest gain ever in NAEP recorded history. Since then, Alabama has maintained its progress in NAEP assessments.” But that was before common core implementation in 2012 in Math and 2013 in English. See graphs and charts below. to a representative sample of students in all 50 states. The test is designed to serve as a national scorecard, allowing comparison of educational performance across the states. The 2015 results are out. They’re disappointing for the nation at large, and for Alabama, in particular. In 2015, Alabama’s average math score, in both 4th and 8th grade, was the lowest of any state.Between 2013 and 2015, Alabama’s average score declined in both grades. and 8th grade. Only 26 percent of 4th graders and 17 percent of 8th graders scored high enough on the NAEP to be considered grade-level proficient in math. Dr. Stotsky, in a 2011 press conference in Montgomery, advised Alabama to continue with its standards upon which success was building instead of adopting the unproven and flawed common core regimen. State Board members Betty Peters and Stephanie Bell listened and voted against common core. Again, more than half of Common Core states showed historic declines on 2015 NAEP – declines that have not been seen since the early 90s when the NAEP began, but Non-Common Core States showed NO decline on NAEP!!!! It’s not just NAEP scores that confirm the inferiority of Common Core. ACT scores of Alabama students as shown in The Condition of College and Career Readiness 2015 Alabama report shows that only 16% of Alabama students meet the benchmark in all four subjects. Further, the percentage is down five percentage points from 2014. See report here. For Alabama students, clearly Common Core is a Failure with a capital F! Who will rescue students from further failure now? According to Math Standards expert Dr. James Milgram’s research, 4 years of common core type math in California beginning in 1992 resulted in irreparable damage. California then ditched those standards and returned to what works. Alabama is in its 4th year, as we have pointed out to you before. When will you ditch the flawed regimen that is common core? But what would you use? Just like Alabama has done for years, a committee of professionals and parents could convene. They could use as a template for Math the pre-common core standards that put California first in the nation; and for English, the acknowledged best were pre-common core Massachusetts. There are other proven sound standard sets upon which to build. There is no limit to what our teachers could do for their students if they were no longer constrained by common core and were equipped with the basics that have worked for generations. You will surely agree with us that it is unfair to our students not to address this ASAP and reverse course before it gets any worse. All NAEP Scores for Alabama eighth grade students fell since the implementation of Common Core with the exception of eighth grade ELA. In this instance, the white and black student scores were basically flat with Hispanic scores up 6 points, which raised the overall score by 2 points. FOR REAL ACADEMIC ACHIEVEMENT, PLEASE VOTE FOR SB60 TO REPLACE COMMON CORE (ALABAMA COLLEGE AND CAREER READY STANDARDS) WITH THE PROVEN BEST OF THE BEST IN THE NATION. Anti-Common Core activists tried for months to warn Congress that the new federal education bill (the Every Student Succeeds Act, or ESSA) was a disaster that would cement, not overturn, the odious progressive-education philosophies of the Obama Administration. Except for 64 House members (click here to see how your member voted) and 12 senators (click here to see how your senators voted) who were brave enough to buck Republican leadership, their warnings were dismissed. Now comes confirmation that the activists were dead on…..Read more here. The success of Donald Trump, Ben Carson, and Ted Cruz this year is a great and anguished shout from Republicans voters to the powers-that-be in Washington: The system is broken; it’s not working for us. The information below is a collaboration between Mary Byrne, EdD of Missouri Coalition Against Common Core, Emmett McGroarty of American Principles Project, Jane Robbins of American Principles Project, Erin Tuttle of Hoosiers Against Common Core, Karen Effrem, MD of Education Liberty Watch and Florida Stop Common Core Coalition, Glyn Wright of Eagle Forum and Kevin Baird of Eagle Forum. PROCESS VIOLATES TENENTS OF AMERICAN GOVERNMENT – OF TRANSPARENCY IN THE BILL PROCESS AND DELIBERATIVE DEBATE. Process of forwarding conference report echoes the process of (Un) Affordable Care Act “You have to pass it to see what’s in it” – that is. Congress won’t be reading it. READ MORE HERE. Please thank the following Alabama Congressmen who opposed final passage of ESSA. Senator Richard Shelby, Congressman Mo Brooks, Congressman Gary Palmer, Congressman Mike Rogers!!! See our website for a detailed list of concerns about this act that will negatively impact Alabama children for years as there is no sunset date on the act. “American Principles Project is disappointed that Congress has passed the Every Student Succeeds Act (ESSA) to reauthorize the failed No Child Left Behind statute. The claims of Republican leadership that the bill will transfer power back to the states are largely illusory. “It is particularly noteworthy and even shocking that so many Republicans voted in favor of this bill. Apparently they did not consider it a red flag that every Democrat in Congress supported it, that Barack Obama supported it, that Arne Duncan supported it, that Nancy Pelosi supported it, and that the owners of the Common Core national standards – National Governors Association and Council of Chief State School Officers – supported it. The suggestion that these rabidly pro-Common Core individuals and organizations would support a bill that truly restores state autonomy in education and unravels all they’ve worked for is nothing short of delusional. “Republicans should have listened to the more than 200 pro-Constitution, anti-Common Core grassroots groups that laid out in detail their objections to this bill and practically begged their “conservative” elected officials to pay attention. Instead, all but 64 members of the House and 12 senators ignored their knowledgeable constituents and did the bidding of the White House and the Republican leadership. “Perhaps the most galling aspect of ESSA’s progression is the secretive, underhanded manner in which the bill was advanced. ESSA was written by unknown parties, working behind closed doors with no notice to the public, and was released only two days before the House vote. Representatives and concerned citizens could not possibly read and analyze over 1,000 pages of text before the vote was taken. Then the Senate rushed through a vote only a week later. This process was obviously designed by Senate leadership and new Speaker Paul Ryan – in brazen violation of his recent promises of transparency – to ram the bill through before opposition could mobilize. To schedule an interview with Emmett McGroarty, please contact Kate Bryan at 202-853-1524 or [email protected]. American Principles Project is a 501(c)(4) organization dedicated to preserving and propagating the fundamental principles on which our country was founded. It aims to return our nation to an understanding that governance via these timeless principles will strengthen us as a country. Washington, D.C.: After months of secret negotiations to reconcile the House and Senate versions of the education reauthorization to replace the failed No Child Left Behind, President Obama has signed the Every Student Succeeds Act (ESSA), favored by the education bureaucracy but opposed by many conservatives. President Obama’s quick and willful signature on this education overhaul should only increase skepticism that this bill will meaningfully reduce federal meddling in education. Conservative goals for education policy are simple: reduce the role of the federal government, respect the primary role of parents, and protect the privacy of students. ESSA falls short on every one of these issues. ESSA cuts a few programs but retains many more and even adds a few, such as a pre-K grant now authorized for the first time. Spending levels will increase over the life of this act, and in spite of the outrage from millions of parents, the onerous NCLB testing mandates remain. Washington bureaucrats will still have plenty to do. Despite popular rhetoric from supporters, this bill does not eliminate Common Core. While it contains more explicit prohibitions on the Secretary of Education, federal law already contained numerous provisions limiting the Secretary and the Department that have been repeatedly defied without consequence. The damage has already been done, and unless states take action, those that have Common Core today will still have it tomorrow. Phyllis Schlafly and Eagle Forum have fought the progressive education agenda through its every iteration for over 40 years. Passage of the Every Student Succeeds Act is an incentive to work even harder for our education agenda. Concerned parents and education activists still have ways to fulfill conservative goals: Urge states to end their involvement in Common Core. Push Congress to pass laws protecting student privacy and parental rights. Elect a president truly committed to ending the oversized federal role in education. Please call your Congressman TODAY to urge a NO vote on the ESEA Conference Report. To find your Congressman and contact numbers, go to http://www.house.gov/representatives/find/, or call the House Switchboard at (202)225-3121. See below additional reasons that this bill must be stopped NOW from the letter that Eagle Forum sent to each Alabama House member. 1. The process precludes informed evaluation of the lengthy document. One week over Thanksgiving holiday is not adequate! We do know that the opt-out amendment that had passed the House has been removed. 2. We cannot trust this President or his administration. Despite existing prohibitions on the federal department’s power, Secretary Duncan effectively coerced states into adopting Common Core. His department continues to churn out extralegal directions to states for his liberal, social agenda. See the linked study showing How the Federal Government Controls Education in Alabama already. http://alabamaeagle.org/2015/04/20/4203 Why would the Republican led Congress negotiate a deal that this President would sign knowing his track record? a. There is no meaningful measure to dis-incentivize Common Core, the teaching of which is harming our children, as evidenced by the NAEP scores that show Alabama has dropped from about 26th among the states before common core to dead last as of 2015 – reversing a trend of improvement. See http://alabamaeagle.org/2015/11/25/alabama-drops-to-dead-last-reversing-upward-trend. b. This ESEA will rely on never independently validated, high-staked standardized tests that are psychologically profiling our children more than assessing their academic knowledge or helping inform instruction. Education Week reports 11/23/2015, the new ESEA “may use non-cognitive traits in accountability” and asks “Is this a Good Idea?” Of course not! Parents do not want states measuring their children’s “social and emotional skills” in their accountability models and placing this information into their permanent records!! c. An ever stronger role for the federal government with increased funds for PreK even though a 2012 Head Start study shows conclusively that any gain is gone by the third grade. f. Again, according to Education Week, the opt-out amendment that passed the House has been removed. There is only lip service to states’ rights and parental control, but centralized control, that has increasingly killed academic achievement while indoctrinating instead of educating, continues virtually unabated. 5. PARENTS DESERVE MORE CONTROL OVER THEIR CHILDREN’S EDUCATION THAN EITHER BILL PROVIDES. Putting this ESEA to rest will go a long way toward parents’ confidence in this Congress and will leave the door open for restoring education to the states and to the people, where it belongs and can thrive, under a new President.